For anyone who grew up listening to Bruce Springsteen, this might just be the most mind-bendingly meta moment of a lifetime. 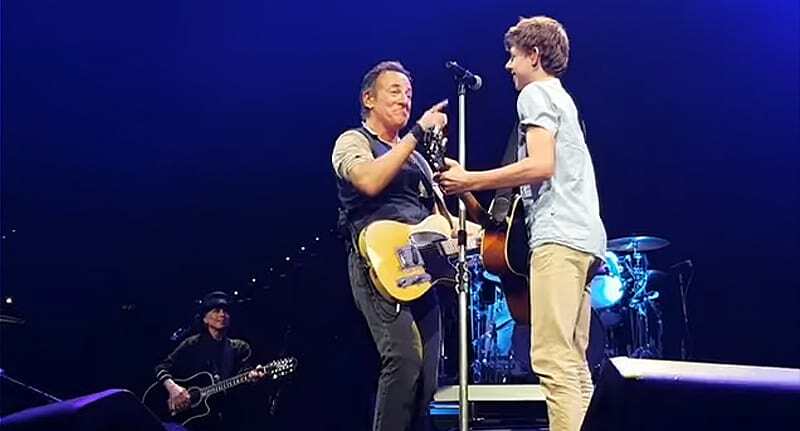 Footage taken at one of The Boss‘ electrifying live shows captured the moment Bruce invited a teenage boy up on stage to sing Growin’ Up with the E-Street Band. The clip from a January date of his Summer ’17 tour in Brisbane, Australia has since been circulated online and people cannot contain their emotions. 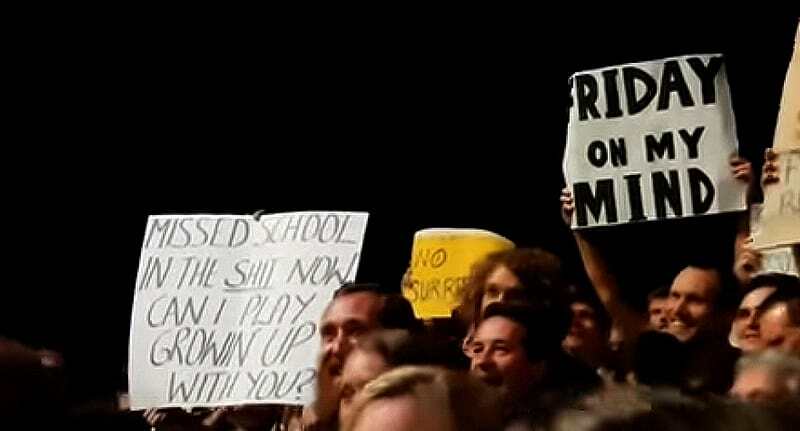 The talented teen, identified as schoolboy Nathan Testa, stood in the crowd at Brisbane Entertainment Centre on 16 February in the middle of a mass of screaming people, sweating in an Australian summer heatwave. Missed school. In the s**t now. Can I play Growin’ Up with you? In his trademark gravelly tones, The Boss calls Nathan up. The teen – who came prepared with his own plectrum – bounds on stage, tunes his guitar like a pro and proceeds to sing every lyric and note of Springsteen’s adolescent anthem pitch perfect. Impressed with his vocal stylings – and never one to be outdone – Springsteen joins in much to Nathan’s delight and amazement. Before we continue: a lesson. When I was your age, I got my first guitar, I brought it home and I realised, it wasn’t how well you played it, it was how good you looked doing it. So I got in front of the mirror and I tried out some different poses. …And when The Boss tells you to pose in front of thousands of screaming fans, you damn well strike a pose. The 67-year-old Rock ‘n’ Roll legend responsible for the greatest driving anthems known to man (IDST) was recently honoured by Barack Obama with a Presidential Medal of Freedom for his services to American culture and equality. 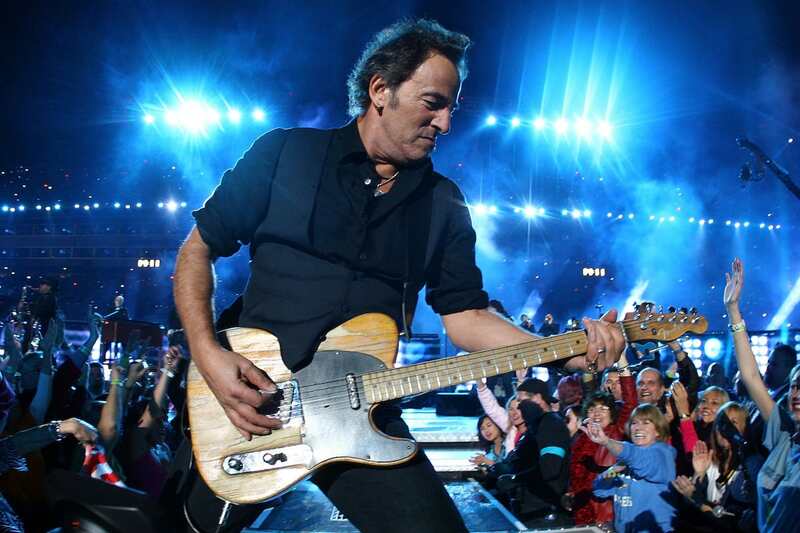 Bruce and his E-Street Band are famed for inviting his guests up on stage to sing their favourite tracks. Reports claim Nathan was the young man famously called up on stage to sing Waiting On A Sunny Day in Australia back in 2011. No wonder the young lad was able to keep his cool in the presence of musical greatness. The wait for his second sunny day in The Boss’ glow was over.